On the outskirts of the city of Bath lies the small town of Westbury. This small town is home to Westbury Dairies, the country’s most advanced skimmed milk powder and bulk butter production facility. Originally set up as a joint venture, Arla Foods UK took full control of the dairy in 2016. With grand plans for the future, management approached Avent Interiors to carry out a Reception and Office Fit Out. Transformed Reception area, Meeting Room and Office space. 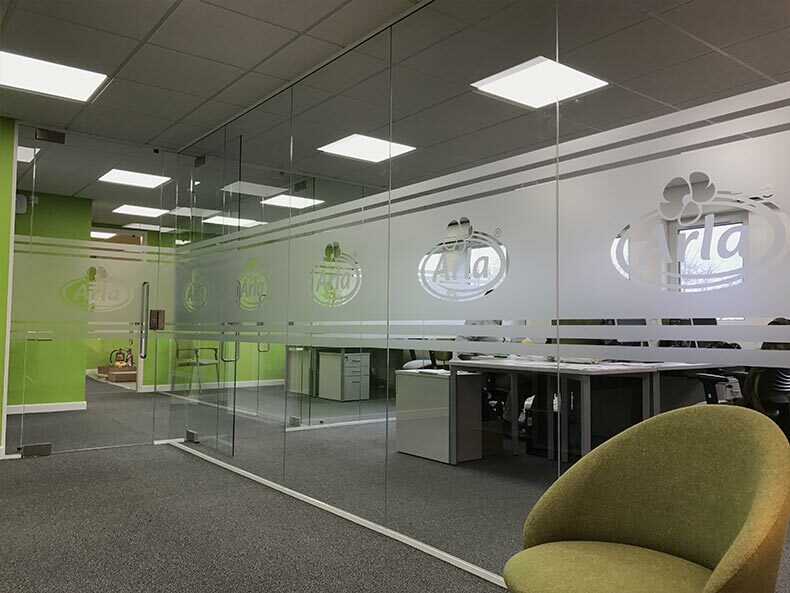 Arla’s in-house project manager worked alongside Avent throughout the project. Creation of Reception area, Meeting room and Offices. 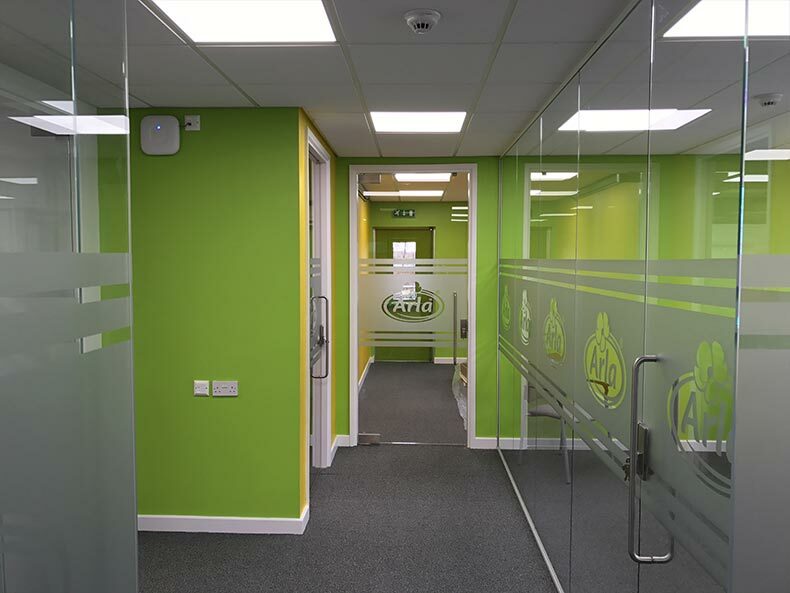 Works carried out by Avent included: Office Partitioning, Flooring, Painting & Decorating, Suspended Ceiling works and Frameless Glass Partitioning installation. 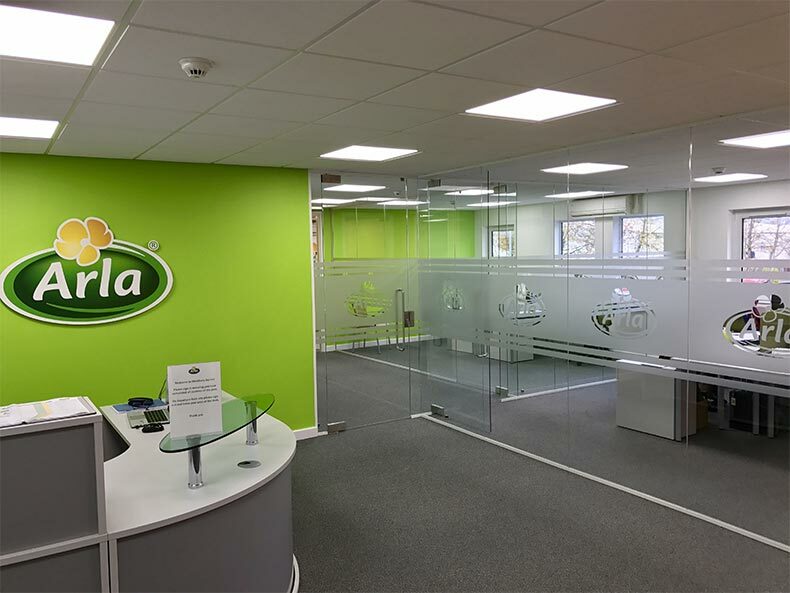 The once bare space within Westbury Dairy had been transformed into a Reception and Office area that Arla could be proud of. The Reception area was an inviting space and provided a waiting area for visitors. A newly formed meeting room, substantial in size provided the facility to hold staff briefings and board meetings alike. Finally, the transformed Office space created by the project looked fantastic! 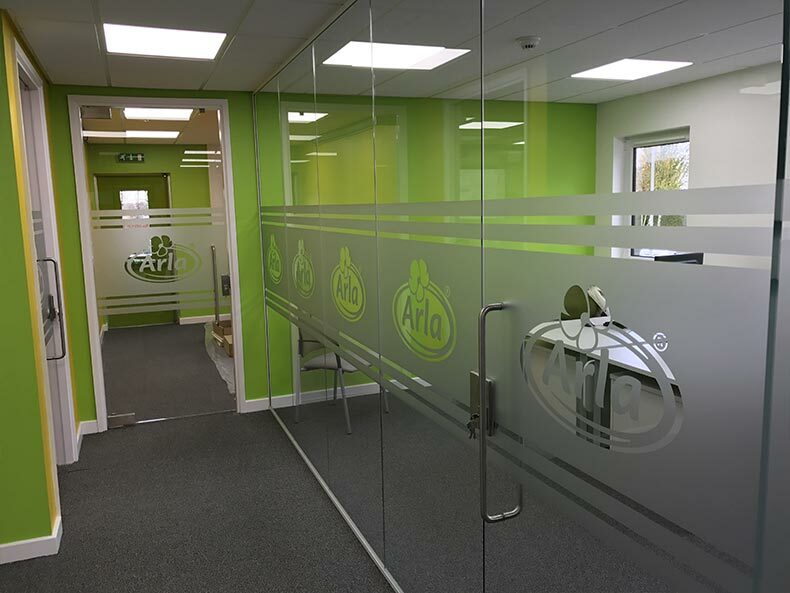 The use of Frameless Glass Partitioning ensured Arla made the most of their space and light. 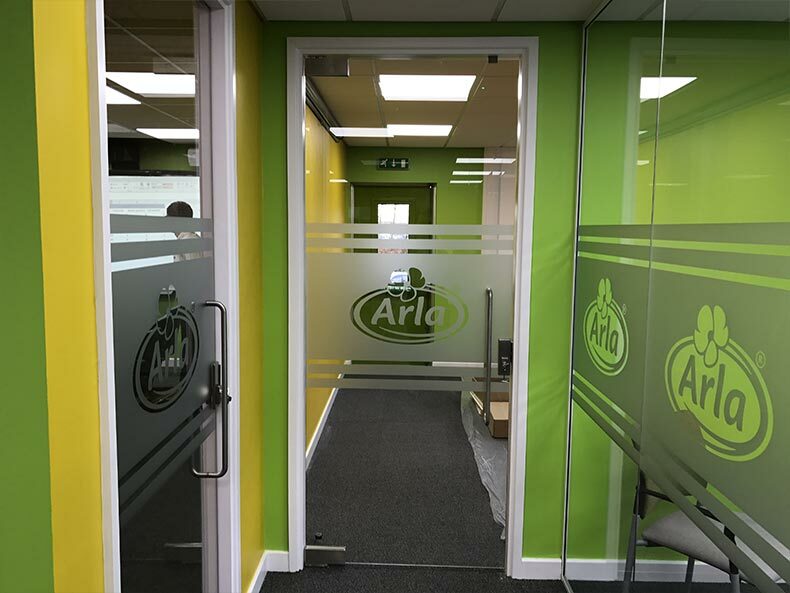 Since this project was completed we have since completed other projects within onsite Arla’s laboratory. “The reception area project was our first time working with Avent interiors Ltd. They provided a good quality, experience lead service during all phases of the project. The level of cooperation and coordination offered during the design, planning and delivery of the project was excellent. The reception area was delivered on time, to budget, and with a very impressive level of finish. 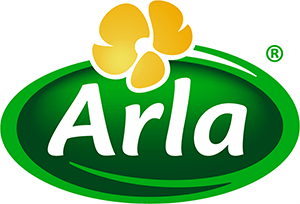 Arla Foods UK is the largest dairy company in the country and is home to leading dairy brands Anchor, Cravendale and Lactofree. Part of the Arla Foods group, a global dairy company and co-operative owned by 12,700 dairy farmers.